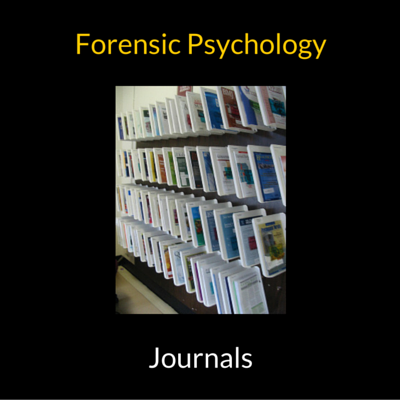 The aim of this page is to showcase the very best free forensic psychology journals available online. From here you will be able to access quality peer-reviewed full-text articles spanning a range of forensic psychology topic areas. Archives of Forensic Psychology (AFP) is an innovative, peer-reviewed, Open Access journal published twice per year. Their mission is to link the science and practice of forensic psychology, by making clinical and experimental resources freely available. AFP publishes empirical research, book and instrument reviews, case studies, commentaries, literature reviews, and policy recommendations. AFP welcomes non-significant results as well as findings presented in government reports, conference presentations, Master’s theses, and doctoral dissertations. Areas of particular interest for AFP readers include: deception detection and malingering, eyewitness memory and identification, false confession, investigative interviewing, jury decision making, psychopathy, risk assessment and management, sexual offenders, and forensic treatment. The Open Access Journal of Forensic Psychology is a professional, peer-reviewed journal created by and for forensic psychologists. It is free to anyone with Internet access. Written by a practicing forensic psychologist and university professor, Forensic Psychology: An Applied Approach introduces the reader to the practice of forensic psychology and offers the reader a broad overview of the many opportunities available to forensic psychologists. The first section of the book presents an overview of the forensic psychology field. 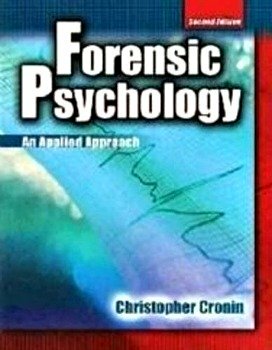 The remaining chapters present the work of forensic psychologists in specific areas: criminal responsibility and competency to stand trial evaluations, police psychology, correctional psychology, child custody evaluations, and personal injury evaluations as well as exploring emerging trends in the field. The text also presents information from the field of legal psychology including trial consultation, eyewitness testimony and investigative psychology (profiling, hypnosis, detection of deception and psychological autopsies). See following link for full details.